People from all over California and the entire U.S.A. come to Fresno for Steve Sanders Auto Sales & Leasing. Thats because we can get you any make or model of luxury car, sports car, SUV, pickup truck or any vehicle at lower than dealer pricing. 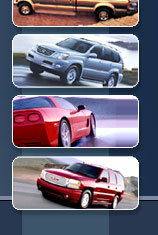 Get a quick car quote from Steve Sanders on any new or used car now. We sell and ship nationwide, no problem. Click here to send us your request.